For the second year running The Campaign for Wool and Woolmark collaborated with “Alex James Presents” for “The Big Festival”. The festival was held over the August Bank Holiday weekend on Alex James’s farm in the Cotswolds, offering a family friendly festival packed with music and food. This year Alex created the “Cheese Hub” a two storey permanent structure for collaborations and events. In the cheese Hub there was the entire range of Alex James Presents award winning artisan cheeses to sample and buy, cocktails from The Groucho Club bar and Alex himself, alongside a variety of special guests. 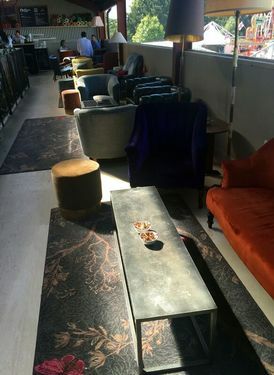 We were happy to work with the team to convert some of our Timorous Beasties Ruskin Noir Butterfly carpet into luxury wool-rich rugs for the Cheese Hub’s VIP areas. 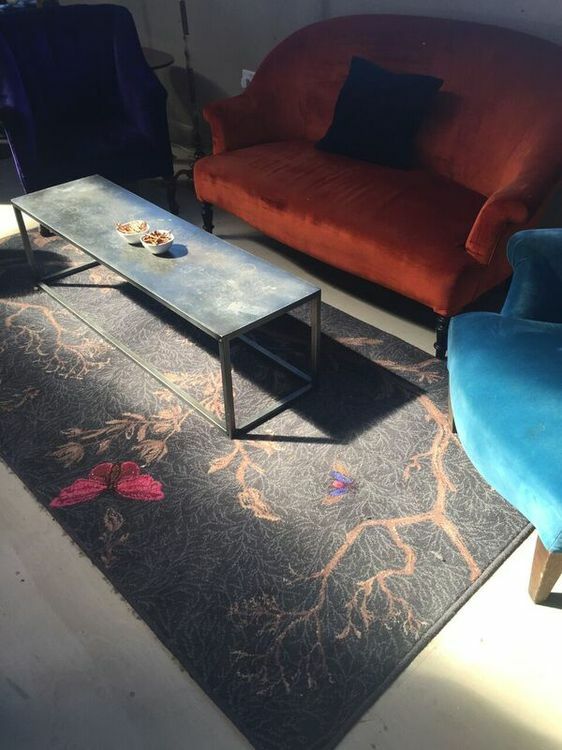 The carpets were used to create intimate spaces that continued the natural; theme with the brightly coloured butterflies and insects offering a splash of colour to the hub. Other contributors included Abraham Moon and Sons, AW Hainsworth, Laxtons Specialist yarns, West Yorkshire Spinners and Z. Hinchcliffe. 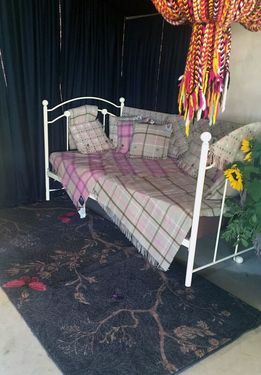 View the Campaign For Wools Facebook gallery from The Cheese Hub.